Why should you choose a fixed line, countertop card terminal? The perfect payment solution – straight out of the box. These card machines are ready to use straight out of the box, have straightforward functionality and can be either integrated into an existing EPOS setup or installed as a stand-alone system. The in-built functionality and ease of set-up make our countertop card terminals ideal for businesses such as small retailers, fast food outlets, supermarkets or hair salons. Countertop terminals that make payments easy and cost effective for your business. 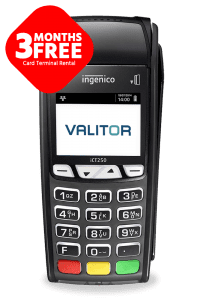 If you sell your goods and services from a fixed location, then countertop card terminals are probably the simplest and most cost effective solution for you.